Decorate your home in holiday cheer with this adorable tree. 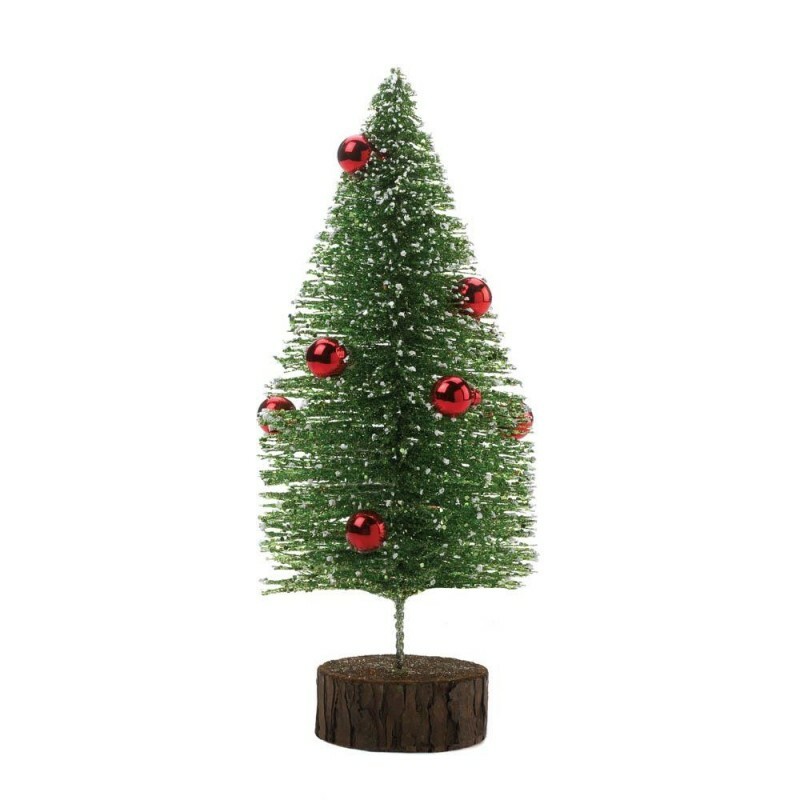 The green faux pine tree with wood base festively decorated with red ornaments adds holiday and rustic warmth to your home. It will look great on your mantel or holiday dinner table. 5" x 5" x 12.5".